Love, Ifa ! : comics ! 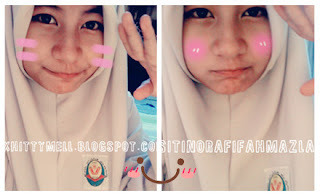 eheyy ~ HI5 ! *ttba . bhahax . u know . now im really not interested with FB or BLOGGIE .. ! okengg ~ actuallyy ! im started LOIKE the comics web ! i can read all kind of comics there ! in fact . i really hate ANIME or MANGA . but now ! this fussy thing make me interested and cant stop looking for them ! 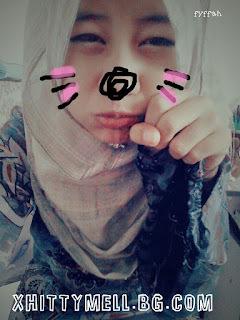 ahahhaahha ~ cool aite ? something dat i really HATE and always make me BORING ..
now , make me really excited to know more deeper ! #im a english but pour in malay . hahahahahahhaha ! okengg ~ beta demam english sbb web comics yg beta jmpa smua in english . btw . semmgnyaa im addicted with comics now !! comicss ! comics !! comicss ! this funny romantic comics really make me crazy !!!! the story just like in drama or movie or something like dat !. chu chu chu ~ B1A4 !! omjj ! their new song also make me scream like crazy ! hahahahahha ~ who is BARO ? then . tadaaaa ~ u found him ! dats my future DREAMS husband . hahahah ! hahahahaah ! okeng ~ gedikk ~ jop ! gedik in english ape jyeah ?? ehem . i try so hard to find GEDIK in ENGLISH . ape yg beta dpat ? HAMPEH ! okeng ! smbung hal komik tdik . actually . korang sweet pie ! ce try bce comic HARUYUKI BUS MANGA ! smua cte brkaitan dlam bas or stesen bas ..
waaaaa ~ cool enough !! ehem . last in return . done ! nothing important now ! but ! please vote for my pic ? thax my lovely ! btw . dah alang2 kann ..
like pic member beta skali jyeah ? btw . PAPAN . be more matured kay ! think the bad thing before make something ! p/s : UPSR sudah abes . PMR yg mendtang ! DOAKAN dorang! pray for SPM candid too !